Here at Mop-Up Duty, we have a small amount of expertise when it comes to Cuban baseball. We’ve been on baseball-related journeys to Havana, Cuba twice; once in 2010 and another time in 2013. One of our most popular posts is about the former farm club of the Cincinnati Reds, the Havana Cuba Sugar Kings. We’re well-read on Cuban baseball history and have a fundamental understanding of the brand of baseball that Cubans play, and the contextual factors that influence both the players and the sport itself. Nearly 11 years ago we profiled Yulieski Gurriel, a phenomenal talent who made his debut on the world stage at the inaugural World Baseball Classic. At the time, the Blue Jays were in the midst of a period of great inconsistency regarding their shortstop position. It was a revolving door of ineffective replacement-level players and veteran re-treads. During this period of sustained shortstop mediocrity, I dreamed of a scenario where Gurriel defected, signed with the Blue Jays, and became a star shortstop. 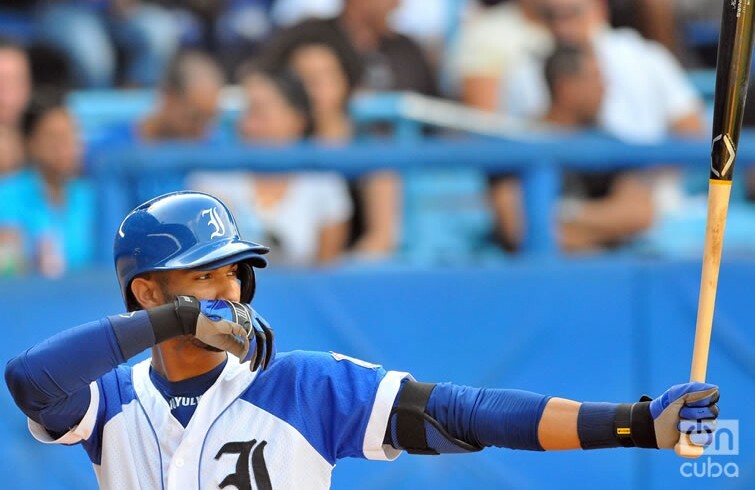 While my dream never came to fruition, the Blue Jays did end up signing a Gurriel: Yulieski’s younger brother Lourdes Gurriel Jr. Lourdes signed with the Blue Jays as a free agent this off-season, shortly after his 23rd birthday in order to avoid the international free-agent pool. Those who believe in baseball pedigree will do backflips over Lourdes’s baseball lineage. The Gurriel family is legendary in baseball circles. Lourdes Jr.’s father, Lourdes Sr., played for the Cuban National Team for 15 years and is a two-time batting champion in Cuba’s domestic league. To get a sense of how he is viewed by his countrymen, his nickname is “El Hombre de lose Grandes Momentos” – the man of the big moments. Upon retiring as a player, Lourdes Sr. went on to manage the storied Havana Industriales, and led them to a first-place finish in 2010. Lourdes Jr. has two baseball-playing brothers: Yuniesky and the aforementioned Yulieski. The oldest brother – Yuniesky – was never a star in the Cuban National Series. However, he did win a batting title while on loan to the Quebec Capitales of the independent Can-Am League. Yulieski, on the other hand, was the top player in the Cuban National Series as well as for the Yokohama Baystars of the Nippon Professional Baseball League in Japan. He recently signed with the Houston Astros to the tune of $47.5 million over five years. The calibre of play, specifically the pitching, was much lower in the Cuban National Series that Lourdes Jr. played in compared to his brothers, and certainly his father. The Cuban National Series was never known for its pitching, but in the last few seasons the league has been gutted by a swath of defections. In 2015 alone, 120 Cuban National Series players left the island. While Lourdes Jr. hit an impressive-looking .344 (in only 245 plate appearances), his brother Yulieski led the league with a .500 average before defecting. Both Lourdes Jr and Yulieski defected during the Caribbean World Series in February of 2016 while in the Dominican Republc. Yulieski signed in July with the Houston Astros, Lourdes waited longer before signing with Toronto in November for $22 million over a seven year span. The 23-year old Gurriel Jr. is an attractive prospect due to his positional flexibility. Athletic and quick, Gurriel is a natural shortsop, but has also played second base, third base, and centre field. He’s long and lean like his brother Yulieski was at the same age, so if he follows the same track, he could conceivably develop the same sort of power as his body continues to fill out. “Everyone I asked about Gurriel in the fall when he signed said utility guy, and he was kind of paid like one too. Keith Law, February 23, 2017. 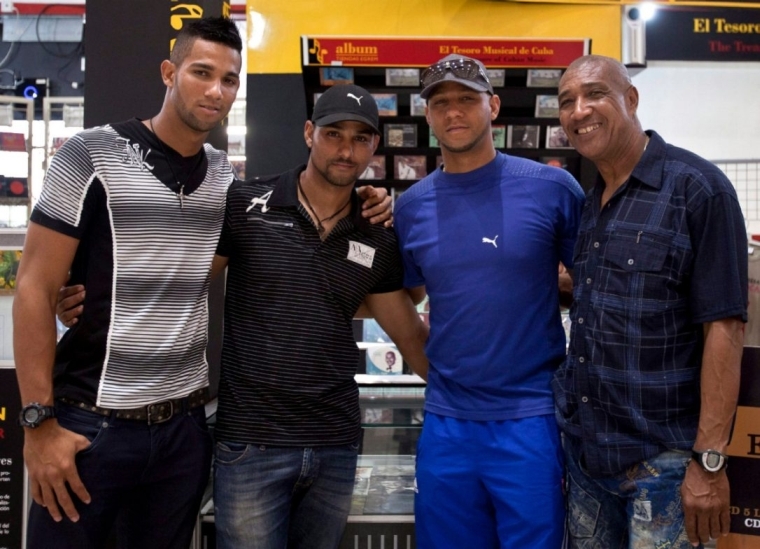 Lourdes Gurriel … is tricky because of the difficulties of translating Cuban statistics to North American ones. The ZiPS translations for his last two years in Cuba — (.255/.317/.379) and (.263/.313/.430) — shouldn’t thrill anyone given he’s in a corner outfield spot in the majors. But the projections of a .270/.330/.460 hitter for a few years in his prime is at least interesting, especially because the variance on a Cuban player is going to be higher than for your typical Double-A player. Dan Szymborski, January 27, 2017. This past weekend Gurriel Jr. made his professional baseball debut as the Blue Jays opened their Grapefruit League schedule vs. Atlanta. It was his first live-game action since playing for the Havana Industriales back in 2015. In the style that is typical of Cuban ballplayers, Gurriel Jr. hunted a first-pitch fastball in his first at-bat. He also played shotstop, and handled himself well defensively. Gurriel added that he was able to relax after getting his first ground ball and that he’s in good shape despite not having played in so long. The question remains where Gurriel Jr. will be assigned for the start of the minor league season. While both Vice Sports and Fox Sports believe that Gurriel Jr. is ticketed for Double-A New Hampshire, I anticipate that he will be assigned to High-A Dunedin of the Florida State League. For many Cubans, a transition period is required to get properly acclimated to not only the new culture and language of a foreign country, but a capitalist economic system – markedly different from Cuba’s brand of communist socialism. In Dunedin, Gurriel Jr. will be shielded from unfamiliar cold-weather baseball and will be close to coaches, mentors, teachers, and the high performance department – key resources to help smooth Gurriel Jr.’s transition to professional baseball in North America. Only a Latin ball player would use "amor y cariño" to describe how he defended his game. Love & affection. Another adjustment Gurriel Jr. will no doubt have to face is rooted in the fundamental way he plays the game. Cubans are passionate baseball players and their passion is evident in their body language. Gratuitous displays of emotion, bat flips, and hot-dogging are all hallmarks of the Cuban brand of baseball. At the Major League level, Gurriel Jr. is going to be subject to pressure from his veteran teammates and opposing players to “play the game the right (read: white) way.” He’ll be pushed to curb his enthusiasm, at least outwardly, for the game he grew up playing. Fortunately, the Cuban baseball brotherhood is a close-knit group; he can look to Yasiel Puig, Yoenis Cespedes, and Yunel Escobar for guidance on how to adapt. Of course, the Blue Jays’ own Jose Bautista has extensive experience in this regard as well. So where does Gurriel Jr. fit into the plans of the Blue Jays at the Major League level? I don’t believe we’ll see him advance past Triple-A Buffalo this year. The Jays are set at Gurriel Jr.’s three main positions: shortstop (Troy Tulowitzki), third base (Josh Donaldson), and centre field (Kevin Pillar). It’s possible that with a meteoric rise through the minor league system, the Blue Jays could throw Lourdes into the fray that is the left field dumpster fire. However, I get the sense that the Blue Jays feel it would be best for Gurriel Jr.’s development to focus on one position and master it. That will take time. We’ll soon find out what the Jays have in store for him.